Crip Big Bang is dedicated to characters with disabilities. That is, characters with canonical (or arguably canonical) disabilities. No disability AUs here. Rather than give able-bodied characters disabilities and imagine “what if?” this challenge puts the focus on actually disabled characters and what it’s like for them to do various plotty (or porny) things while disabled. This challenge is about giving disabled characters the attention they didn’t get in canon. For participants working on original fic, this challenge is about making room for disabled characters in their canon. Find out the particulars at the FAQ. 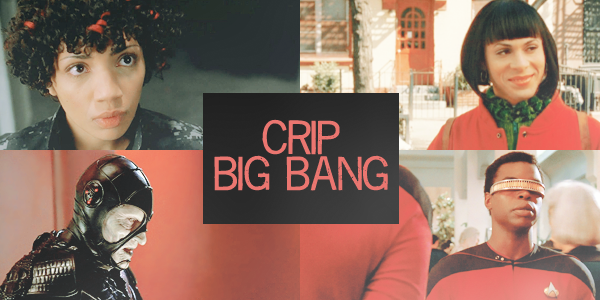 This is the main community for Crip Big Bang. You can find mirrors on LiveJournal and Tumblr. There is also an option support comm cbb_support for participants.